TALKING about mental health issues in Ireland has never been fashionable. Land, property, personal wealth, pension pots, pedigree, what school did you attend? and who’s son or daughter are you, now? have always been the dominant trends in Irish conversation. And so it has been over the past number of days in the media coverage of Jenny Lauren’s- that’s Ralph Lauren’s niece, to you and I- air rage incident last Monday on Delta Airlines flight DL477 from Barcelona to New York, which diverted to Shannon Airport for “safety concerns” after Ms Lauren was found to be “breaching the peace” on board the flight. Ms Lauren was charged with threatening and abusive behavior on- board the flight and being intoxicated to an extent that could cause danger to passengers. The court heard that she abused three airline staff, including two air hostesses whom she each labelled “f***ing ugly blonde b***h”. She has since been fined €2,000 for the incident. Sharon Curley, Ms Lauren’s solicitor, told the court that her client had a number of medical conditions and was extremely sorry about the trouble she had caused. Judge Patrick Durcan said he accepted that her behavior was entirely out of character, but he had to also recognise the upset and disruption that had been caused, not least the costs of $43,158 (€31,718) incurred as a result of the flight diversion and the inconvenience that the diversion caused to passengers and crew, which the court heard. On yesterday’s edition of Mary Wilson’s Drivetime show on RTÉ Radio One, during which Wilson interviewed Clare FM’s John Cooke, the focus, again and again, was on Ms Lauren’s pedigree and on her ownership of a jewelry shop; not just any plain ‘ol jewelry shop, mind, but a “high- end” jewelry shop. There was also a discussion regarding the rumors that Ms Lauren had flown- in a team of hot- shot lawyers from her native New York. Most remarkably from Wilson’s interview with Cooke, however, was the mention that court reporters at Killaloe District Court had been paying a lot of attention to what Ms Lauren- Ralph Lauren’s niece, in case you’d forgotten- was wearing (she was dressed almost entirely in black, if you must know) during her court hearing in Killaloe District Court, which sits in the function room of the Brian Boru on the Hill pub in Ballina, Co. Tipperary. Cooke also mentioned that Ms Lauren wasn’t wearing any of her own “high end” jewelry. 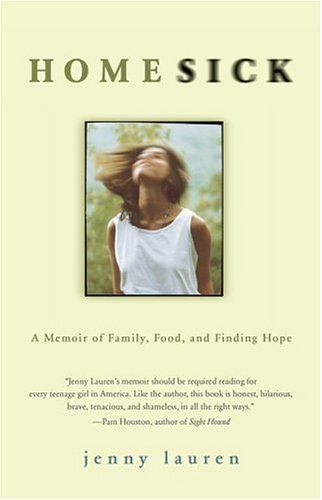 Few journalists, if any, covering Jenny Lauren’s air rage incident have mentioned Ms Lauren’s 2004 memoir Homesick: A Memoir of Family, Food and Finding Hope. In that book, Ms Lauren discusses her troubles with an eating disorder, anxiety and bi- polar disorder. Aged 10, Ms Lauren attended her first appointment with a psychiatrist. It was during that time that Ms Lauren’s low self- esteem issues and eating issues first started to appear and, over the course of the next 15 years, developed into starving, binge- eating, purging and compulsive exercising, to the point that her small intestine herniated. I’m not suggesting for a moment that any of these facts excuse Ms Lauren’s potentially dangerous behavior on- board an aircraft. What I am saying is that, once again, we have allowed a focus on social class and pedigree to over- shadow an opportunity to speak about mental health issues and how, socially, mental health issues can affect anyone of us. Ms Lauren’s unfortunate mixing of alcohol and prescribed medication- which no- one should, ever, ever, ever mix- didn’t trigger a mature and open discussion about how mental health issues never pick their victims; that even if you are the niece of a man whose personal wealth is estimated at $7.7billion and whose company reported revenues of $6.9billion that you can still be affected by depression, anxiety, panic disorder and eating disorder as much as someone on welfare. Instead of focusing on the unfortunate fact for us all- that is, again, that mental health issues never choose their victims- the media allowed itself, typically, to get caught up in Ms. Lauren’s social status and pedigree, thereby side- stepping a discussion about mental health. Excellent post. Well done for tackling a tough issue.